The Sightron SIIBL Series 20-60X85 HD Spotting Scope comes Fully-Multi and is waterproof. 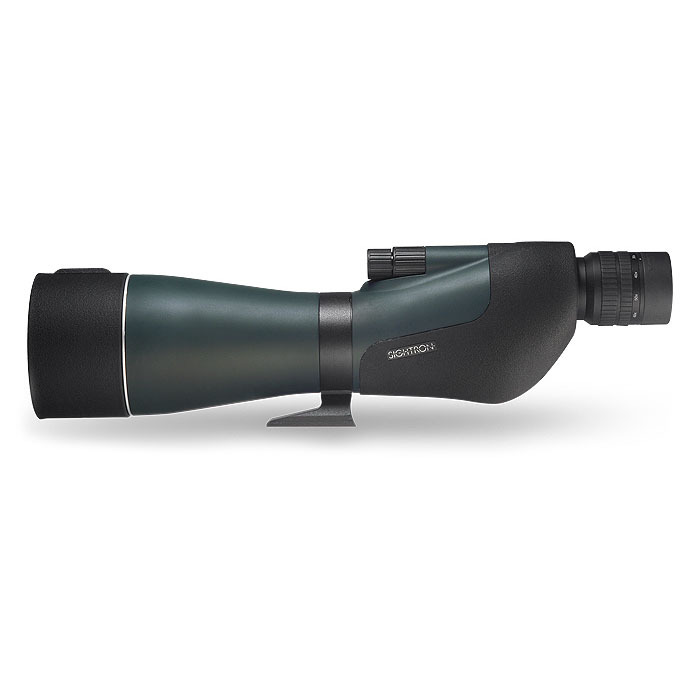 The Sightron SIIBL Series 20-60X85 HD Waterproof Spotting Scope with roof prism, and comes with a 20-60 magnification and 85 objective diameter. 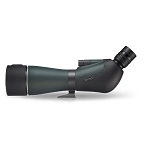 The Sightron SIIBL Series 20-60X85 HD Fully Multi-Coated Spotting Scope is topped off with a black rubber finish and offers a life time warranty. I have always been impressed with the quality of Sightron rifle scopes so I decided to give the spotting scope a try for range use and I was not disappointed. The image is crisp and sharp! The eye relief is good and it comes with a nice fitted case. I'm an optics professional (in photography) but I don't have a whole lot of spotting scope experience. I purchased this for shooting sports and digiscoping. My guess is the optics outshine everything in this price-range and you would need to spend $1200 plus to do better. I have zero complaints and love the clear clean images I see through this scope. I don't see many optical flaws like chromatic aberrations, edge vignette, uneven sharpness, flare, etc. I have not done any critical side by side comparisons yet but I doubt anyone will be disappointed with this "Value" scope. Well, I finally got to use the scope(Sightron SII BL 20-60X 85 HD) in real world conditions (although i was just an observer). Went to a Palma and F class match (800, 900 & 1,000 yds). Not the ideal conditions to check out the scope but it was something. Was a nice day but the sun (mirage) was out. There were only 2 brief moments where there wasn't any mirage. There was certainly no problem seeing the plugs in the target at any range, so that wasn't any challenge. While the match was going on I asked some of the other shooters to take a peek to get their opinion. They all said it was clear and looked like a decent scope. I didn't see any color aberrations. I was surprised how many hadn't heard of Sightron. I hung around till the end of the match and there were a couple of High Power Service Rifle shooters that wanted to get some practice in at 600. So I followed them down. While the 2 guys were getting set up at the 600 line, there was one on the 300 shooting a string. I had the scope on 60x and i could see breaks appearing in the white scoring rings on the target as he was shooting. This was during one of those brief periods of no mirage. I couldn't make out any shots in the black although I really didn't expect to especially since the target was in the shade. There were holes in the white but they were there before and not coming from the shooter. I also don't know the diameter of them although I believe, at least, some of them were from the scoring plugs. The guy at 300 left so the 600 yd firing started and of course the sun and mirage came back. The second brief no mirage period came and the targets appeared more blurry than the previous time. What's going on? I put my glasses on and what a difference. Clear and sharp like before. Up to this point I always thought I could focus optics with or without my glasses and get the same level of sharpness. GUESS NOT! I believe I have some astigmatism so maybe that's it, don't know for sure, but I guess I'll have to keep my glasses on from now on when viewing optics. This wasn't an exhaustive test since I was at the mercy of the club member's activities and I was just a guest. But, I certainly think what I did see was promising and others had favorable opinions. I don't think anyone could go wrong with this scope especially at the price.